Each year there are over 20 British Team Chasing events which culminate in our annual Championships in the Spring. 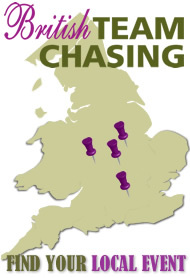 To help you find your local Team Chase event please see our Annual Map. All Schedules, Entry Forms & Rules can be downloaded below.